wow, I haven't blogged in 2 months! Ok, this really really surprises me. I knew it had been a bit but I had no clue that I had gone 2 months without really touching this blog. On the one hand, I'm a little disappointed in myself; I definitely like writing about what I'm reading and I haven't really been keeping up with even titles. On the other hand, I've been super busy with work (even though I'm half-time, and we had 8 days off recently for the snow) and with personal events. That personal event? Well, if you're a Facebook friend you've seen that I announced a few weeks ago that B and I are expecting our first kid at the end of May! 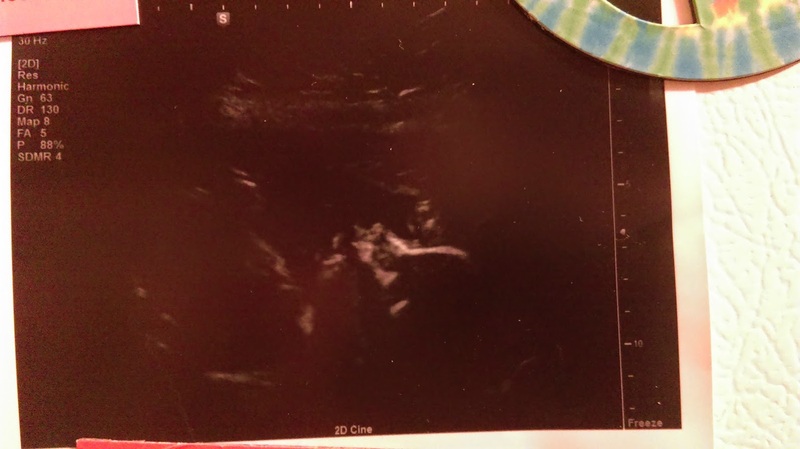 We're having a girl. No name yet but I am sure we'll come up with something. I'm feeling great; I'm having an incredibly easy pregnancy. Hope she comes out just as easily! Even having no problems though I'm still busy. So many Dr appointments! And B and I are trying to spend lots of time together since that will be a bit curtailed come May. So between all the work stuff, baby stuff and relaxing, I've been doing lots of reading but no blogging. I'll see what I can do to try to get back into the habit.